Not Verified | My wife and I are disabled and requested Special Assistance when we booked our flights. When we arrived at the Assistance desk a curt and officious male receptionist told us we hadn't and after we had argued with him and shown him our documents he simply pointed at some seats and said 'Wait there'. We did while several other travelers came and went. When we were starting to worry about the time a young man and a young woman came to find us. Then they went to find some wheelchairs and we set off. They both ignored us, as thought we were baggage, and man spoke loudly to anybody and everybody with every breath he took. When we arrived at the Security Check he started to bark loud instructions to us in broken English offering no help at all. When we were recovering our belongings after they had been scanned the barking continued. So I barked back louder and told him off. He didn't like it but he shut up, and sulked. We were then pushed to the Gate and left in the wheel chairs in the middle of the floor. Our Assistants said 'wait there' and left. Two other, fairly cheerful, assistants returned after boarding was underway and took us to the plane. As someone who is fairly new to my disability I really resent being treated as a feeble-minded nuisance, hence this review. "made to stand for a good half an hour"
✅ Trip Verified | Things were great until we needed to use the disabled assistance to board the plane. Well, mostly. We had been told to go to Gate 29 (by the guy at baggage drop) so the three of us (including my mum with reduced mobility) walked there. Upon checking the board for confirmation later, the gate had been changed to Gate 4. So we walked there. After about 20 minutes there, the gate was changed yet again to Gate 20. We looked for someone to give us some assistance to the new gate as my mum was struggling with all the walking but were just told "walk to the gate, then get assistance". So we did, she struggled her way to gate 20, and got there just in time for boarding. I found a person who handled the disability assistance, and her name wasn't even on the list for assistance, despite it being on her boarding pass. I explained that we had booked it, and he asked why we didn't have a wheelchair. I explained that she could walk, but it was a struggle for long distances and that she couldn't do stairs or slopes etc. He tutted and said "fine, follow me". We followed, but then another member of the disability assistance staff stopped us in the middle of a slope and was going to make us wait with everyone else. Again, we had to remind them that she is disabled and can't stand for long. After literally having to argue for her, she was allowed to join the rest of the people getting assistance. Not that there was much point because we were taken to the doors of the aircraft, and then my mum, and everyone who actually was in a chair, was made to stand for a good half an hour, having to hold on to other people to support themselves. The guy who was meant to be helping was more bothered about looking at his phone than helping the people he was employed to support, which is absolutely disgusting. 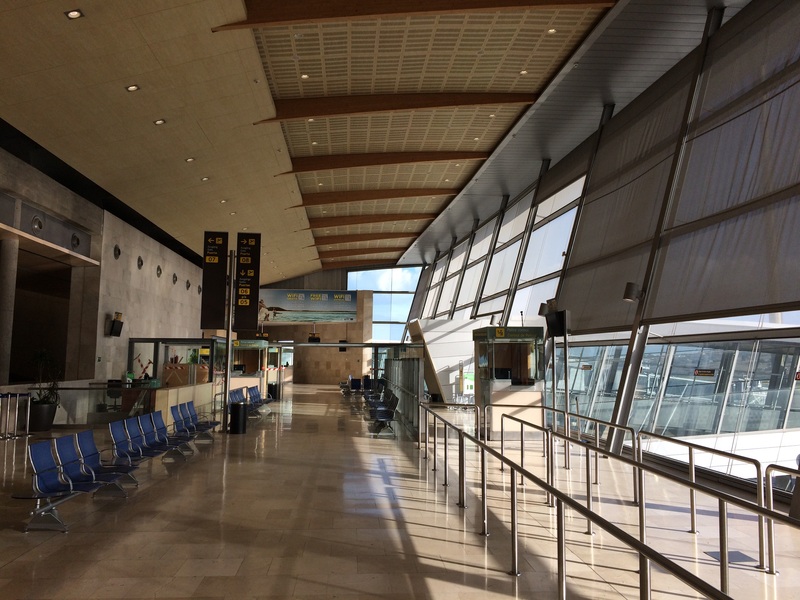 "disgraceful way to treat disabled passengers"
Not Verified | I wish to complain about special assistance at Tenerife South airport. Coming back from holiday, I booked special assistance for both arrival and departures. When arriving at Tenerife South no special assistance had been arranged. I was told at my apartment by my Tui rep that when getting to the airport to go to the special assistance desk next door to burger king. I did exactly that, it took someone nearly 30 minutes to bring a wheelchair for me, after all the checks I was wheeled down to the gate and I was told that someone would be at the gate about 11.10pm to get me onto the flight before everyone else. I was sat there in this wheelchair and 11.10pm came and no one was there, I waited until 11.25 before someone came and took me down to the plane. The boarding had begun. We also went to Los Cristianos 3 years ago, me and another lady had to have special assistance but we were forgotten about and we were last on the plane. It is a disgraceful way to treat disabled passengers. Clean up your act. "one of the worst managed airports"
Not Verified | This must rate as one of the worst managed airports. From arriving from Manchester at 11:45 to getting through passport control at 13:30. We then found my husbands suitcase had not arrived. Finally it came with all the prams and pushchairs. The person in charge of directing the crowds had little effect and it was every man for himself. An exhausting and very unpleasant start to our holiday. The Tui rep then gave us false information which had us trying to sort out our next part of our journey ourselves. Tenerife airport get your act together. This is the second bad experience at this airport, the first left me in tears and I'm a granny, mid sixties. 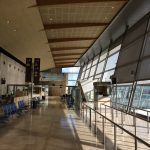 "staff at this airport are a disgrace"
Not Verified | The staff at this airport are a disgrace especially at border control when arriving and at the boarding gate when departing they have no compassion for people less able and with invisible disabilities. On arrival we had to queue for 25 minutes to get though passport control and as I use a crutch to walk standing in one place for a long time can be difficult and painful, although I dont use a wheelchair I do need some assistance but on arrival we were made to queue for 25 munites to go though passport control which was excruciating for me. No fast lane for people with reduced mobility. Something similar on the way home, I had phoned TUI to say I needed some assistance but not a wheelchair as if I sit too long I cant move well after but can’t stand long either so they said I could have priority check in and plane boarding. However, at the boarding gate was told to stand in the queue and only people in wheelchairs could go through, the man was rude and horrible, the man in front of me even had a blue badge but refused to let him have priority boarding also. Have they heard that not every disability is visible I wonder. I was disgusted by this and really made my flight home uncomfortable as I had been standing/hanging in one spot for ages. My ankles and legs were like balloons when I arrived in Manchester. I'm so glad my next holiday is in Lanzarote as the staff there are amazing compasionate and accommodating. Not Verified | Visitrd Tenerife for the first time in about 14 years and was not impressed at all. Arrival was slightly better than departure although the woman directing us at passport control (to the electronic gates) was a bit snappy. The departure was much worse. Toilet facilities were disgusting - all smelt of urine, didn't look like they'd a proper clean for a very long time, one toilet had no seat, another the door couldn't be locked. So general maintenance and cleanliness a big issue. Food options very basic and all overpriced! Not impressed at all but the rest of my holiday was fab! Not Verified | I experienced the two most obnoxious and rude women ever at the gate before security. I was travelling with two young kids, one of the ladies on the entrance side of the gate made it clear we were not to go through the fanily gate we were queuing for and to scan one boarding pass at a time in the normal gate. My just turned 3 year old son was made to walk through a gate alone, so I went first to coax him through. Because he hesitated the gate closed on him and smacked him in the face. The lady the exit side of the gate started shouting at me in Spanish, like it was my fault. Blaming me for sending my child through alone, that was the instructions I was given, she'd sure moan if I didn't follow rules. In the end after asking for their help and being met with the response "your problem" I reached over and grabbed my son and stormed off with him. It was a very distressing experience for him. She clearly isn't in the right job with an attitude like that and to think it's acceptable to leave a scared child standing at the gate which has just smashed into his face while you shout at his mum for following YOUR rules is very very wrong. Awful service and very nasty ladies. Not Verified | I have been on holiday so many times, but never have I encountered such rude airport staff in my life! Me and my partner missed our flight after spending a week away in Tenerife. On our way back, we checked in at 7pm, as our flight was 21:55pm. When checking in they told us that our flight was delayed by 1 hour 15 minutes. I can also put Thomas Cook to blame for part of my complaint, as the lady who checked us in had the worst service ever. No apology for our delayed flight either. We were sat around for hours, checking the board constantly, waiting for the gate to be displayed. Ours was the only Thomas Cook flight that night, so it was clearly shown on the board at all times. Finally it said our plane would board at gate 24, when we made our way over we sat amongst everyone waiting. We lined up at boarding, only to be told we had missed our flight and they were calling out for us for 25 minutes. Rubbish! Apparently it was gate 28 the flight left from, however at gate 24, on the screen it stated Thomas Cook, London Gatwick. I am yet to contact Thomas Cook but I am mainly writing this review as the way we were treated after missing our flight is appaling! We were laughed at by several members of staff. I was in distraught as we had no where to stay and it was gone midnight so everything was shut. We spoke to airport staff and even someone who worked for TUI. We were not spoken to with consideration and made us out like we were stupid, bearing in mind you could see we were frustrated and upset. Aside from us missing our flight, if we were spoken to in a better manner I would not be writing this. By far the worst experience ever. It’s put me off going back to tenerife. Rudest people ever. Only one lady who actually helped us, and she worked for a taxi company. Disgusted is a far nicer word than I can think of at this point in time. Would give 0/10 if I could. Not Verified | As always, I found the service here very good, and the staff helpful. But, my review,today, is for the special assistance service. This was my first time of using this service, and, I was very pleasantly suprised as to how helpful it was. The staff were pleasant, and I was assisted from booking in, to boarding the aircraft, with no fuss. A truly excellent service. "my gripe is lack of information"
✅ Trip Verified | Dreadful 19 hour delay, caused by the weather, but my gripe is lack of information, and no provisions supplied for a delay of that length given by the airport, all the shops shut apart from one which couldn’t cope and run out of almost everything. Our vouchers when we got them for food couldn’t be used for sometime as they had problems with the WiFi. Regardless of if it was our travel agent Thomas Cook lack of information supplied to the airport staff I don’t feel they were helpful enough and were actually quite dismissive when myself and other passengers asked for help. The toilets became very dirty and ran out of toilet paper, I can’t believe there is no plan for such emergency situations where so many flights are cancelled.